Are you pregnant or have you recently given birth? Are you wondering what you can do to make those stretch marks fade — or prevent them from even appearing in the first place? Stretch marks are a common result of pregnancy, but thankfully there are some things you can do to minimize them, and choosing a good stretch mark cream is a good first step. Here’s what you need to know to battle those stretch marks and pick the best cream for your bump. Use the links above to check the latest prices or read our in-depth pregnancy stretch mark cream reviews below. Who Will Get Stretch Marks? Stretch marks are long, thin striations or lines that occur on your skin after periods of rapid stretching. The medical term for these marks is called “stria” (source). While pregnant women tend to notice stretch marks most prominently on their baby bump, they can occur on any part of the body that may experience rapid stretching. Stretch marks occur when your skin stretches quickly. There are two main substances, collagen and cortisone, found in your body that may contribute to your propensity to get stretch marks. Collagen is a type of protein found in your skin that makes it more elastic. If you don’t have enough collagen, it can increase your risk of getting stretch marks. Cortisone is a hormone that’s released by the adrenal glands (source). It is also known as cortisol. This hormone is most frequently released as a stress response. It can weaken the skin’s fibers and elasticity and may contribute to stretch marks. Cortisol levels rise during pregnancy and peak late in the third trimester (source). This timing corresponds with the point of pregnancy where stretch marks tend to become most prominent. Rapid growth spurts in children. Medical conditions like Cushing’s syndrome or Marfan’s syndrome. There are a few things that put you at higher risk for developing stretch marks. You have been pregnant, especially as a young woman. You have had a breast enhancement. You have family members with stretch marks. You use a corticosteroid — typically used for skin conditions, inflammation, allergies, asthma, or arthritis (source). Once you get stretch marks, it’s not possible to get rid of them completely. Just like a scar, they will remain on your skin for life. However, there are ways to make them less visible and reduce their prominence. Vitamin E: There is some evidence that creams containing Vitamin E may reduce scarring and have an effect on the visibility of stretch marks. Retinoids: Retinoids are a derivative of Vitamin A and are used to treat wrinkles, acne, and scarring, including scarring due to stretch marks. Retinoids are used topically, but should not be used during pregnancy. They are more appropriate to treat your stretch marks after giving birth. Laser therapy: Laser therapy has been shown to reduce scarring. In particular, red light therapy may be most effective. This therapy is chemical-free and non-invasive and is usually done in salons or dermatological clinics. Wait it out: Over time, most stretch marks fade on their own so they are no longer so noticeable. They won’t completely disappear, but they may lighten in color so they’re not as prominent. Rapid stretching of the skin primarily causes stretch marks. When you’re pregnant, it’s a given that your abdomen and other parts of your body will grow quickly. However, there are a few things you can do to combat the development of stretch marks. Unless advised by your doctor, you should never attempt to lose weight or avoid weight gain while pregnant. It is normal and healthy to gain a certain amount of weight during pregnancy. However, excessive weight gain can contribute to stretch marks. Check with your doctor about how much weight they would like you to gain, and ask for a referral to a nutritionist if you find yourself struggling to gain at an appropriate rate. Try to eat healthily and exercise regularly throughout your pregnancy to stave off excessive weight gain. Hydrated skin is healthy skin, and it may be less prone to developing stretch marks. At a minimum, drink eight cups of water each day to keep your skin properly hydrated (source). Exercise not only helps to keep you healthy and limit excessive weight gain during pregnancy, but it also increases blood flow. The increased circulation can improve skin elasticity and limit stretch marks. Exercise also can be a great stress-reliever, which can help limit your body’s production of cortisol. If you eat certain nutrients, they help to create collagen, which increases skin elasticity and may help reduce your risk of stretch marks. Keeping your skin hydrated is the best way to keep it healthy and avoid stretch marks. There are lots of different products on the market to help moisturize your skin — some of which are specifically formulated for pregnancy. You can use an oil on your skin to keep it healthy, or you can choose a cream or lotion. Lotions that have Vitamin E tend to be the most effective, as Vitamin E promotes cell regeneration. Vitamin A is often marketed as a way to reduce the appearance of scars, including stretch marks. However, avoid Vitamin A during pregnancy as it has been linked to birth defects. Prevention of stretch marks: By keeping your skin nourished and moisturized, you may be able to prevent the formation of stretch marks altogether. A pregnancy-approved stretch mark cream may be applied regularly to your bump to help reduce your chances of developing stretch marks. Reduce appearance of stretch marks: Once stretch marks have formed, it’s impossible to eradicate them completely. At this point, it’s necessary to focus on reducing their visibility, and that is typically done by using creams rich in Vitamins A and E.
When choosing a product to treat your stretch marks, you should avoid Vitamin A if you are pregnant (source). In skin care products, Vitamin A is listed as a retinoid and is frequently used in products treating wrinkles, discoloration, or scarring. Retinoids have been conclusively linked to birth defects when taken orally. While the evidence is not as strong that using them topically can affect your baby, out of an abundance of caution the general recommendation is that pregnant women avoid them in all forms. So, if you’re looking to treat your stretch marks, avoid products labeled as retinoids or that contain Vitamin A if you’re currently pregnant. They are safe to use after you’ve delivered your baby. Cream, lotion, or oil: There are many different types of topical products to rub on your bump to prevent or heal stretch marks. You can choose from oils, lotions, creams, and body butter. Each will deliver hydration and nourishment to your skin — don’t get caught up in the hype over what type of product is better and just choose the one that best fits your lifestyle. Vitamin E: Vitamin E is important in preventing the development of stretch marks, but may also help to treat them after they appear. It is also safe to use during pregnancy. If you’re specifically trying to treat stretch marks, choose a product that has Vitamin E.
Non-retinoid: If you are pregnant, make sure you are choosing a product that does not contain retinoids, also labeled as Vitamin A. Retinoids are typically used in products marketed for the treatment of wrinkles, acne, and the reduction of scarring. When you’re pregnant, you only want the best to touch your baby. And if you’re slathering something all over your belly that has the potential to affect your baby, a lot of moms opt for organic to make sure they’re choosing the safest product. This belly butter is made with 100 percent organic ingredients so you can feel good about putting it on your skin. It’s also vegan and cruelty-free, so it fits with a variety of lifestyles. It is made with organic shea and cocoa butter for maximum moisture delivery. The shea butter penetrates your skin deeply to help nourish skin at the source of stretch marks, while the cocoa butter creates a barrier that keeps the moisture locked in. It contains no parabens which can mimic estrogen, no synthetic ingredients, no phthalates, no sulfates, and no artificial fragrances. It’s unscented so it will not bother women who struggle from morning sickness. It’s also made in the U.S. so you can feel more confident about the ingredients in the cream. It is 100 percent organic. It is hard — not a smooth cream. The natural scent may not be pleasing to some. Contains no ingredients to heal existing stretch marks. If you’re pregnant and want to prevent stretch marks from appearing on your bump in the first place, it’s important to pick a cream or lotion that will effectively hydrate your skin. It’s also important, if you’re going to use it while pregnant, that it doesn’t contain harmful ingredients like retinol that could potentially harm your baby. This cream is designed to help you do just that, with 15 botanical oils and extracts that are formulated to help keep skin healthy even when it is being stretched to its max. It also contains antioxidants and essential fatty acids. Fatty acids are particularly important to help with the development of collagen, which aids in skin elasticity. 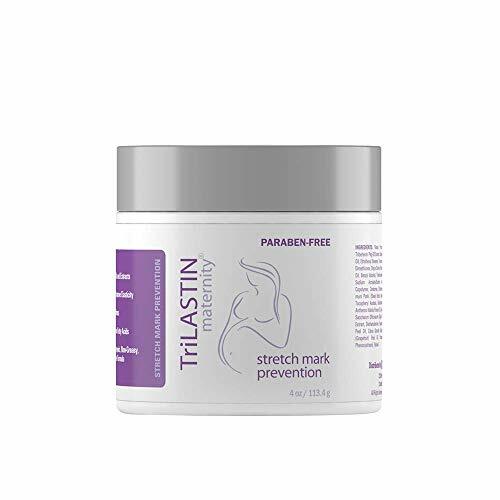 This stretch mark prevention cream is considered hypoallergenic, so it is not likely to cause an allergic reaction. It is pH balanced for your skin, and is considered safe to use during pregnancy. This cream is made in the U.S. so you can be sure there are no questionable ingredients. And while it has a fragrance, it is derived from natural extracts including orange oil. This may be particularly helpful if you suffer from pregnancy nausea and are bothered by typical product scents, as citrus scents tend to be more tolerable — for even the most severe morning sickness sufferers. It is safe for pregnancy. It may not lighten existing stretch marks. It does not contain cocoa or shea butter. This belly butter was formulated with the pregnant mama in mind, which means it doesn’t contain any ingredients that are dangerous or questionable for use while you’re expecting. In fact, it is made with 99 percent natural ingredients. It’s made with shea butter to help moisturize the skin as it stretches, along with Vitamin E to help lighten the appearance of existing stretch marks. The nourishing belly butter can help treat itching, pain, and irritation that frequently occurs as a result of extreme stretching. So not only can it help you stay comfortable, but it can help stave off stretch marks at the same time. It is appropriate for use on sensitive skin as it doesn’t contain any ingredients that are well-known to irritate and can be applied either directly to the skin or while you’re in the shower to help lock in the moisture that’s already on your skin. It comes in a larger size than many of the other body butters available, so though it runs a little pricey, you’re still getting a good value. It may not work on exceptionally dry skin. Its natural scent may not be pleasing to everyone. It does not contain as many vitamins and nutrients as other products. This stretch mark cream not only gives you effectiveness, but also gives you value. You get two packs of this cream for the price of one so you can fight your stretch marks for longer before needing to re-order more product. It contains Vitamin E, which is widely accepted as one of the top ingredients to combat stretch marks. It also contains Argan Oil which helps to condition the skin and lutein which helps to support your stretching skin. It provides hydration for up to 48 hours, so the moisturization is long lasting. It is considered hypoallergenic, meaning it is not likely to cause allergies or irritation. It is dermatologist tested and considered safe for sensitive skin. It contains no parabens, phthalates, or mineral oil. This product is ideal for use during pregnancy to prevent the emergence of stretch marks. It also contains collagen and elastin, which help improve skin elasticity, so stretch marks don’t make an appearance in the first place. You get two in a pack. It provides hydration for 48 hours. It has a strong scent. It is best as a preventative product. 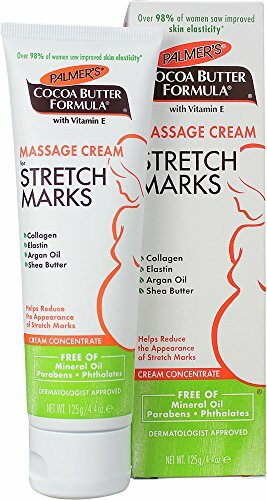 This stretch mark cream will help you stave off those annoying stretch marks if you apply it throughout your pregnancy. And you can feel safe applying it as it is toxicologist approved for safe use while pregnant or nursing. It is made from shea butter, which is absorbed deep into the skin to restore hydration and elasticity where the primary damage from stretch marks occurs. It helps to relieve irritated and uncomfortable skin as it stretches, as well as prevent the visible scarring that presents as stretch marks. 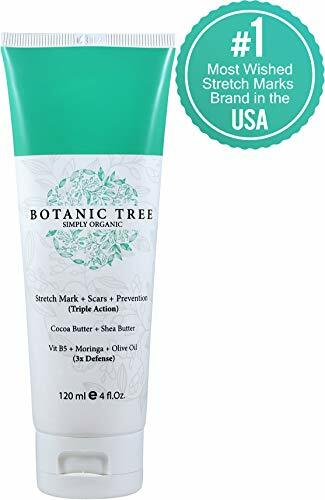 This body butter contains no ingredients that you should avoid during pregnancy including parabens, phthalates, sulfates, caffeine, or artificial colors. Nor does it contain any ingredients that are widely known to cause allergic reactions or irritation. It’s clinically tested and considered to be a “zero sensitivity” product. It does contain ingredients that help to build collagen in your body. A lack of collagen can put you at greater risk for developing stretch marks, so boosting your body’s ability to produce collagen can help combat them. It is also vegan-friendly as it was not created using any animal products. It is pregnancy and nursing friendly. It is best for prevention. It is more expensive than some other options. This pregnancy-friendly lotion just might become your best friend as your body grows during pregnancy. It contains no ingredients that are considered unsafe during pregnancy, so you can feel confident slathering it on at any point. It contains no mineral oil, petroleum, or parabens. This is important because parabens can mimic estrogen so they should be avoided during pregnancy, so they don’t interfere with your hormones. Further, it contains no artificial fragrance and doesn’t have a strong scent so that it won’t irritate your morning sickness. This belly butter will help prevent the development of stretch marks by nourishing and hydrating your skin. It can also help relieve the pain and itching you may feel as your skin gets stretched to the max. It uses shea butter, organic herbs, and essential oils to help restore your skin’s elasticity and prevent the appearance of stretch marks — or help reduce the severity of existing ones. You can continue to use this belly butter to help restore elasticity to your stretched skin after pregnancy. This has also been certified NSF/ANSI 305 by Oregon Tilth. This certification is reserved for personal care and hygiene products that are made with 70 percent or more organic ingredients. It is safe for use during pregnancy. It does not contain artificial fragrances. It is thick so it may feel greasy. It is more effective at preventing rather than healing stretch marks. It has a light scent. 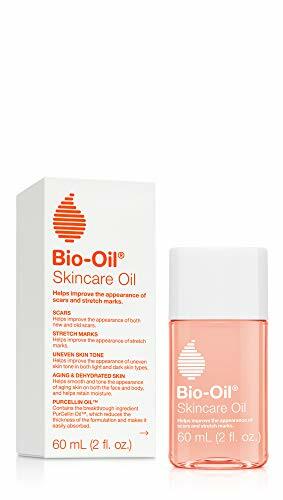 If you’re ready to try something more natural on your stretch marks than the typical lotion, cream, or body butter, Bio-Oil is one of the most widely trusted brands around. This oil has no preservatives and simply delivers high-intensity moisture directly to your skin. Though you might be afraid to try an oil because you think it may leave a residue, this formula is non-greasy. It helps to rehydrate the skin and restore natural elasticity, which can help to prevent the formation of stretch marks. It has also been clinically proven to be effective to reduce the appearance of both scars and stretch marks. It’s also versatile, as it can be used to help fight signs of aging and also help with uneven skin tone. However, it’s important to note this oil may have more effect on newer scars. Older scars may not change as much. It is appropriate for use on all skin types, including sensitive skin as it is considered hypoallergenic. This means it is not likely to cause a reaction, which is important since your skin tends to get more sensitive when you’re pregnant. There is no added fragrance that could bother you if you’re struggling with pregnancy nausea. It may not be very effective on older scars. You need to get used to using an oil. It is not specifically formulated for pregnancy. 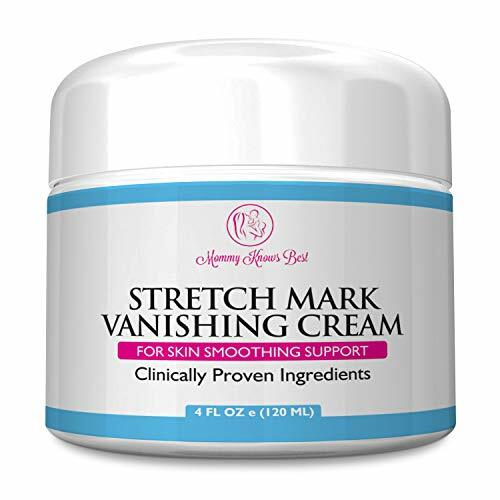 This stretch mark cream has dual effectiveness for both preventing the development of stretch marks, and reducing their visibility once they’ve appeared. It is considered safe for use during pregnancy so you can use it as your belly grows to prevent stretch marks, and then after your pregnancy to continue to treat them. It is made from 100-percent organic ingredients so you can feel good about putting it on your skin while pregnant. It contains the moisturizing powerhouse combination of shea and cocoa butters, along with additional conditioners including Vitamin B5, olive oil, avocado, and Centella Asiatica, which has been proven in studies to reduce the development of stretch marks. For women who already have stretch marks, this cream can help as well. It is free of parabens, which is good because they can cause hormonal disruption, which can be particularly troublesome when you are pregnant. It also helps reduce scars without the use of retinoids, which are not advised when pregnant. This cream is made in the U.S. and is cruelty-free. It also comes with a satisfaction guarantee, so you can get your money back if you’re not satisfied. It both prevents and treats stretch marks. It does not contain Vitamin E.
Not all users found the product to be completely effective. While lotion tends to be a popular way to moisturize skin in the U.S., oils tend to be popular abroad. When it comes to preventing and healing stretch marks, hydration and nourishment are key — and you may find you prefer using an oil over using a cream or lotion. Lotions tend to need synthetic ingredients, preservatives, and emulsifiers to stay good on the shelf. Oils need fewer added ingredients so you have a better idea of what’s in your product. 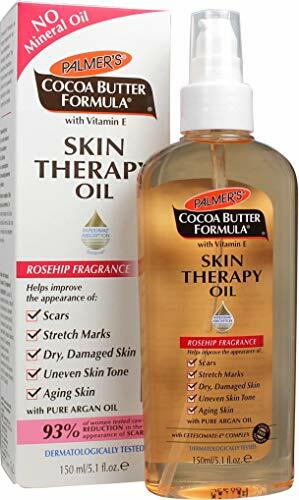 This Palmer’s Cocoa Butter Skin Therapy Oil contains no preservatives and still includes the popular ingredient cocoa butter to help moisturize your skin. This oil is lightweight and does not contain mineral oil, which tends to be more greasy and can clog pores. It contains Vitamin E which is widely recommended to help treat skin scarring. It does not contain retinol or Vitamin A, which should be avoided during pregnancy as it could impact the fetus. It has been proven effective. It does not contain shea oil. While this product isn’t appropriate for use during pregnancy thanks to the active ingredient retinol, keep it on hand for use to begin battling those stretch marks as soon as you deliver. This product delivers results as a clinical study showed that 100 percent of participants reported a reduction in the visibility of their stretch marks. Not only does it target the appearance of your stretch marks, but it helps to soften them as well. This ultra-thick body butter delivers intense hydration to your skin without being greasy. It also contains ingredients that are known to nourish your skin and help with stretch marks, including Vitamin E, retinol, jojoba, cocoa butter, and shea butter. Most of the ingredients are natural, and some are even organic. This cream is made in the U.S. and is cruelty-free. It also comes with a satisfaction guarantee, so if you’re not happy with the results, you can get your money back. It is not appropriate for use during pregnancy. You’ll need to purchase another product for prevention while pregnant. When you’re pregnant, your nose goes into overdrive, with the faintest hint of an unpleasant smell causing that horrible nauseous feeling. You need a product that smells good or at least isn’t offensive. But I love the sweet almond smell of this product – it’s one of my favorite scents out of any lotion or cream I’ve ever used. One application will continue to penetrate the skin for 12 to 24 hours. 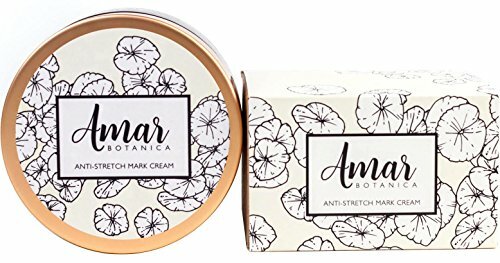 Formulated by a board-certified dermatologist, Amar Botanica uses ingredients that are safe for both you and your baby, including USDA-certified organic shea butter, cold pressed avocado oil, bitter almond extract, and gotu kola. 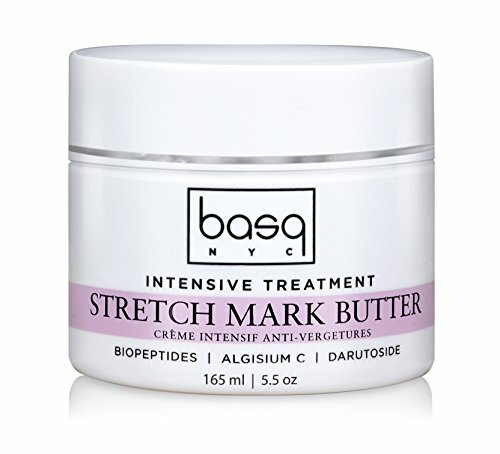 When you don’t need stretch mark cream any more, this is still a great overall cream to keep on hand. I love using it on my dry heels – it’s made them much softer. It’s made in the U.S. It feels luxurious on your skin. You can use it on any member of your family – it’s not just for stretch marks. It can take a minute to fully rub in because the cream can be solid until your body heat melts it. 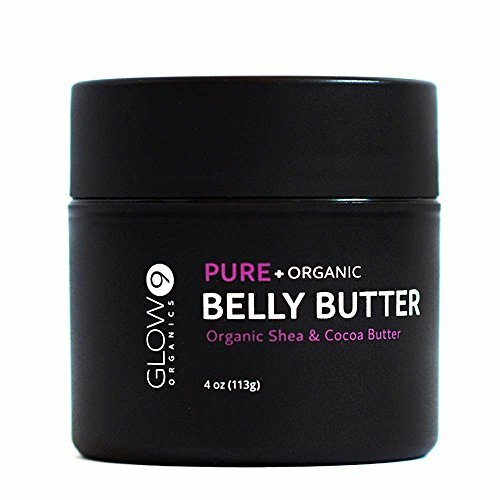 My top pick is Glow Organics Belly Butter. It doesn’t contain any of the ingredients you need to avoid during pregnancy so you can use it on your bump to prevent stretch marks from forming and continue to use it after delivery to help restore skin elasticity. It’s also organic, vegan, and cruelty-free so you can feel good about using it. And the thick combination of shea and cocoa butters will help you lock in the moisture that your belly needs to combat the itching and discomfort you may experience late in your pregnancy as your skin stretches to its max. Did you get stretch marks during pregnancy? Share this with an expectant mom who needs to prevent them while she’s pregnant — and also with the mom who’s recently delivered and now needs to try to heal her battle scars. What is the Best Sunblock to Use During Pregnancy?